The Faroe Fishing Vessel Owners’ Association is engaging policymakers in an outreach effort prior to an expected fisheries reform, meanwhile further reinforcing its organization with Anfinn Olsen as new chairman of the board. 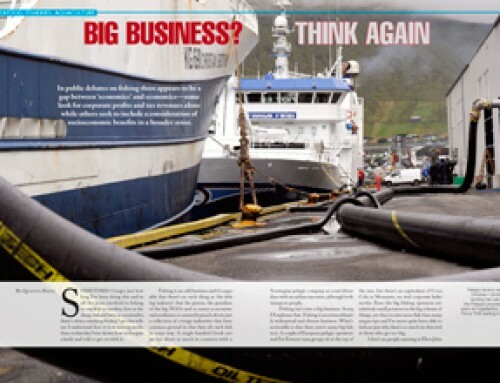 The umbrella organization of the Faroe Islands’ commercial fishing vessels — the Faroe Fishing Vessel Owners’ Association (Føroya Reiðarafelag) — looks poised to reclaim its role as an active participant in, and a significant contributor to, top-level consultations on fisheries policy. 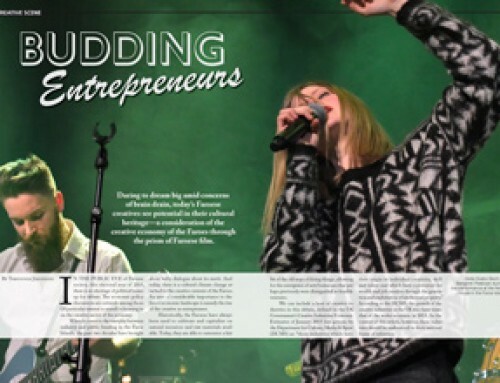 The association, until recently undergoing a prolonged period of limited activity, took steps to revitalize itself by hiring Herálvur Joensen for managing director in 2013. 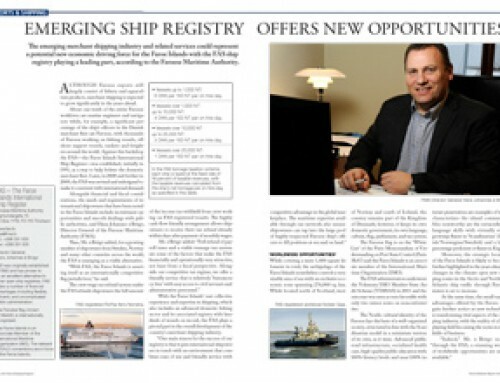 Mr. Joensen quickly set out to reorganize the Vessel Owners as a joint organization and coordinate some of the varying interests of the association — in fact the member groups represent vessel types that vary using differing fishing technologies, just as the species they target and the areas they work in vary as well. 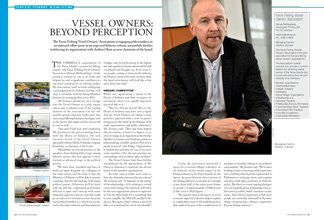 One-and-a-half year after employing Mr. Joensen, in the process joining forces with the House of Industry, the non-executive board of the Vessel Owners appointed Anfinn Olsen, of fishing company Framherji, as chairman of the board. Meanwhile, an obvious priority on the agenda is about dealing with a long-coming fisheries reform that now appears to have reached an advanced stage in the political process. While once again being a tenant at the House of Industry may have an impact on perception, there is an equally important practical side to it. 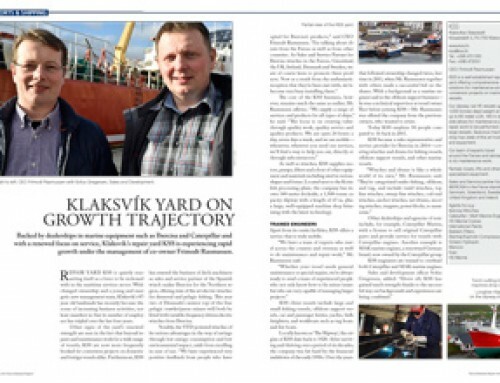 “The fact that we moved office to the House of Industry may have sent a signal that the Vessel Owners are taking a more proactive approach with a view on participating more effectively in the dialogue with trade organizations and public authorities,” Mr. Joensen said. The Vessel Owners have been further strengthened by the appointment of Mr. Olsen as chairman to represent the elected board of the member organizations. 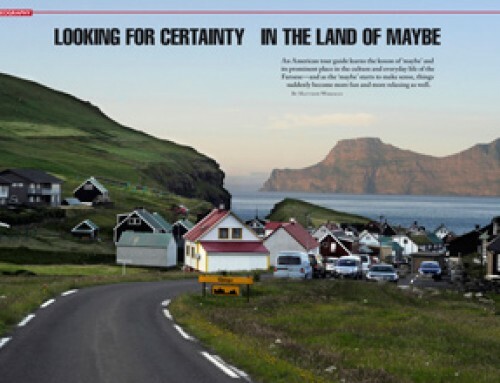 Lately the association sponsored a report by economist Magni Laksáfoss on the domestic socioeconomic impact of the fishing industry in the Faroe Islands. In the report, the gross domestic factor income of the fishing industry is assessed, for example, at just about half of the entire gross domestic product of approximately 12 billion dkk (1.6bn eur) in 2012 figures. “Documents such as the report on socioeconomic impact by Laksáfoss help us explain to stakeholders some of the underlying facts that ought to be part of the considerations of any plan to introduce change in our political environment,” Mr. Joensen said.